Material: 100% cotton/ Colour: black, white/ Based on a historical original/ Shipment weight: 300 grams. Surcoats were worn over armour or chainmail to protect against heat and dust. Surcoats showed which knightly order or which family a knight or squire belonged to. 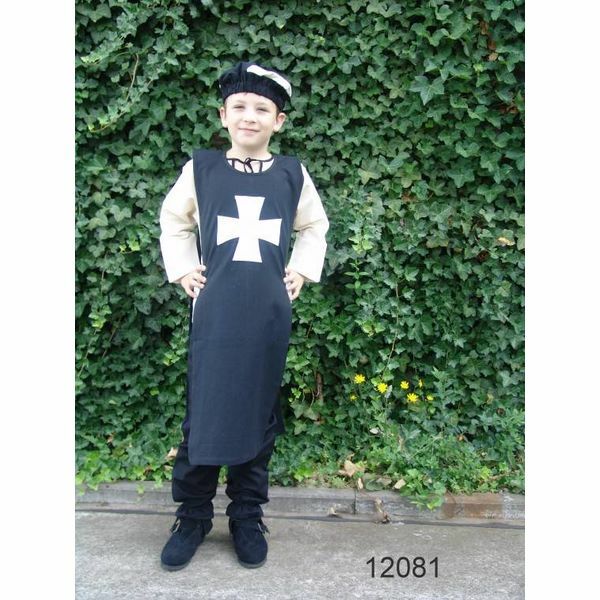 This surcoat shows the cross of the Knights hospitaller. 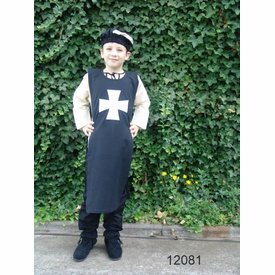 This children's surcoat is suitable for children up to 12 years.